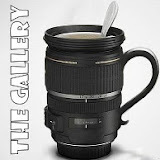 This week's Gallery theme is chilled out. Well Aaron does that very well. Apologies for the "flash" action but the sun was very glaring. As you can see, he likes to put his feet up bless him. The above pictures were taken on Sunday (8th May). The sleepsuit makes him look young but it is a recent photo. I love them in sleepsuits! i’d love to join in the Mum Tum if that’s okay - or is it just the mummy's you mentioned? Trying to get myself back into fitness. I do know Cow PR, but only because I work in the PR Industry. The book in the header is Purple Cow by Seth Godin.